Danish Landrace (also known as dansk landfar or klitfar ) sheep are native to Jutland in Denmark. They were developed from the Merino and Heath sheep, with early specimen interbreeding in the nineteenth century with Leicester and Oxford Down sheep. They are medium sized and are generally white with a gray head. They are mostly polled, with only around 10 percent horned rams. They are double-coated and long tailed. Generally their tail is spotted brown, but they are predominantly white. 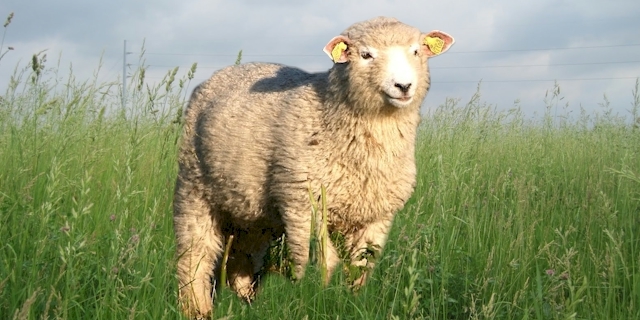 The average height of the mature Danish Landrace rams are around 75 cm at the wither, and around 70 cm for the ewes. The average live body weight of the mature ewes is between 50 and 65 kg. And the average live body weight of the mature rams vary from 70 to 80 kg. The total population of the Danish Landrace sheep was down to almost 50 animals in 1986. But the Danish conservation efforts have now stabilized the Danish Landrace sheep breed, with an estimated stock of about 1100 animals and 30 registered male breeders in 28 herds in 2004.